La provincia de León posee el que fue el mayor complejo de minas de oro a cielo abierto de todo el Imperio Romano. Se trata de la región de Las Médulas, que empezó a ser explotada de forma continuada en época de Octavio Augusto. Según Plinio el Viejo, se utilizó un sistema de extracción muy efectivo aunque brutal para el entorno llamado 'Ruina Montium'. Los romanos canalizaban los riachuelos y las nieves de montaña. Luego horadaban una montaña a base de galerías con mucha pendiente y soltaban el agua embalsada. La fuerza del agua deshacía la montaña y arrastraba las tierras hacia lavaderos, donde se cribaba la tierra para obtener el material aurífero. El agua llegaba luego a depósitos de distribución reforzados con taludes construidos con la tierra resultante de la montaña. Los expertos cifran que los romanos extrajeron 500 toneladas de oro de la sierra leonesa en 250 años. Hasta 20.000 hombres llegaron a trabajar a la vez en la destrucción de montañas. Plinio aseguraba que el trabajo era más temerario que "buscar perlas y púrpura en el fondo del mar". La explotación fue abandonada en el siglo III d.C. La naturaleza se adueñó de la zona, creando un paraje espectacular que fue declarado Patrimonio de la Humanidad en 1997 por la Unesco. The province of León has the biggest Roman open-air golden mine complex. It's the region of Las Médulas, which was constantly exploited since Augustus period. According to Pliny the Elder, Romans used a very effective and enviromentally aggresive method called 'Ruina Montium'. They channeled streams and mountainous snow, drilled a mountain by steep slope galleries and set the water free. The water power ruined the height and swept the soil along to a treating site, where it was sieved to obtain the gold-bearing material. Water reached then to distribution tanks reinforced with slopes made with the resultant clay. Experts calculate they extracted 500 gold tons from the Leonese range in 250 years. 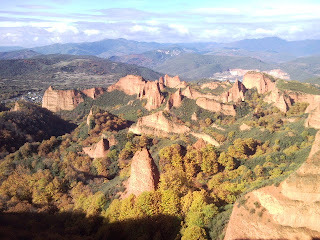 About 20.000 men worked at a time in the mountain destruction. Pliny assures us that this job was more dangerous than "looking for pearls and purple under the sea". The exploitation was abandoned in the III century a.C. Nature recolonized the region, creating a spectacular place that was declared World Heritage site by the Unesco in 1997. La nación irlandesa tiene parte de sus cimientos en Galicia. El Leabhar Ghabhála Érenn es una compilación de manuscritos que narran la construcción de Irlanda mezclando historia, mitología, folklore e historiografía cristiana. Narra el relato que Gaedel Glas huyó de Egipto, al estilo de Moisés, y llegó con su pueblo a Galicia 444 años más tarde. Uno de sus descendientes, Breogán, fundó la ciudad de Brigantia, lugar en el que erigió una torre desde la que su hijo Ith podía ver Irlanda, a 900 kilómetros de distancia. Estudiosos del mito relacionan esta ciudad con A Coruña y la torre con la de Hércules. En el ciclo mitológico, Ith viajó a la isla y fue asesinado por la nobleza de la corte de los Tuatha Dé Danann, pueblo que se había hecho con el trono con la ayuda de las artes oscuras y la magia pagana, tras vencer a los Fir Bolg. Una profecía aseguraba que los hijos del sobrino de Ith, Míl Espáine (o soldado hispano, en castellano), gobernarían sobre Irlanda. Cuando regresó el cadáver de Ith a Brigantia, los ocho hijos de Míl y los nueve hermanos de Ith invadieron y unificaron la isla en un solo reino con un ejército de mil soldados. 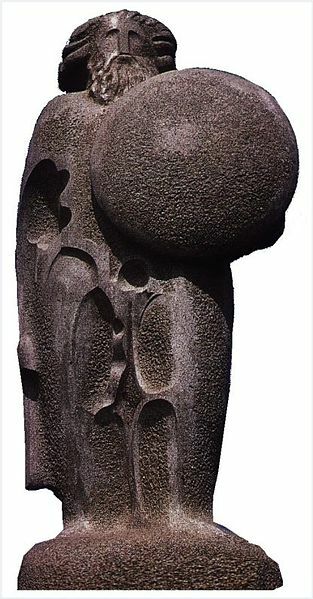 Esta dinastía fue el legendario tronco principal del reino hasta época cristiana. The tower of Hercules. A Coruña. Galicia. The mythological origin of the Irish nation has part of its story in Galicia. The Leabhar Ghabhála Érenn is a compilation of manuscripts that relates the Ireland's construction mixing legends, folklore, history and christian historiography. It tells the story about how Goídel Glas fled from Egypt, as Moses, and arrived with his people to Galicia 444 years later. One of his descendants, Breogán, founded the city of Brigantia and built a tower from the top of which his son, Ith, could see Ireland, 900 kilometers away. 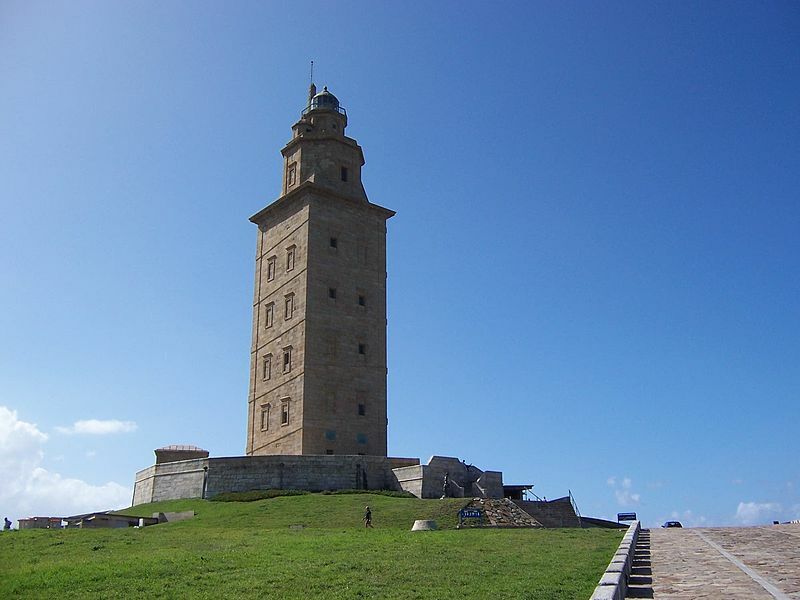 Myth's scholars relate this city with A Coruña and the tower with the tower of Hercules. In the mythological cycle, Ith travelled to the island and was killed by the aristocracy of the Tuatha Dé Danann' court, people who had got the throne with the help of the dark arts and the pagan magic, after defeating the Fir Bolg. A prophecy ensured that the sons of Ith's nephew, Míl Espáine (hispanic soldier, in English), would rule over Ireland. When Ith's corpse came back to Brigantia, the eight sons of Míl and the nine brothers of Ith, with an army of thousand men, invaded and united the island in a single realm. This dinasty was the legendary main kingdom's core until the christian period. This article is special. After the publication in this blog of the article 'The Spanish trace in La Florida', some friends of Flagler College tried to show me how the Spanish legacy has been maintained in the region. From this conversation, we've developed this collaborative article. The text in English has been written by the doctor in Latin American History Diana Reigelsperger. The photo gallery on Flickr attached is the work of Deborah Shaw, full time History Major at Flagler. And I've made the Spanish translation. Enjoy it. Juan Ponce de León was born to a noble family in Valladolid, and sailed to the New World with Columbus’s second voyage in 1493. He participated in the conquest of Puerto Rico in 1506 and 1507, and became its governor in 1509. The king removed him from the post in 1512 in favor of Diego Colón, Columbus’s son. In 1513, Ponce de León embarked on an expedition to explore the land to the north of the Caribbean. Contrary to popular myth, he was not in search of a Fountain of Youth. Instead, he sought new opportunities for wealth, land, and status. Ponce de León’s expedition was rather typical of early sixteenth century adventures in that he brought an experienced pilot, two African free men, and two Taíno seafarers and guides with him. Knowledge of the coastline and tides was essential and pilots were some of the most valuable and knowledgeable people in the Caribbean during this period. The earliest landing sites are a hotly debated topic. They matter little since Ponce de León met with hostile resistance from the native groups he contacted. These groups may have had some contact with slave raiders and likely assumed they were dealing with more of the same. After sailing south around the Florida Keys, Ponce de León’s crew landed on the Gulf Coast near Charlotte Harbor. There they came into contact with the Calusa chiefdom. The Calusa gave them a hostile reception, and the explorers returned to Puerto Rico. In 1514 Ponce de León secured a formal title to Florida, naming him adelantado. This method was how the Spanish would go about conquering the New World. Much as they had in the Reconquista, leading figures would undertake the conquest and settlement of a region at their own expense. Their reward was governance of that region and all the privileges and revenues such a status might entail. This is how the Spanish monarchs gained control of the Americas with minimal capital. In 1521, Ponce de León returned to build his colony with 200 settlers, horses, seeds, and tools. As they travelled inland in search of fresh water, the colonists trespassed on Calusa land. Upon being attacked by the Calusa, Ponce de León took an arrow in the thigh. He and his settlers returned to their ships and sailed for Puerto Rico again. Ponce de León died from his wounds not long after. The exchange of animals, plants, and diseases between Europe, Africa, and the Americas is known as the Columbian Exchange, named after Columbus. The southeastern United States offers an excellent example of this exchange since it was the site of not one era exchange, but many. The Spanish presence had a substantial impact on the ecology and landscape of the Americas. The expeditions led by Lucas Vázquez de Ayllón, Hernando de Soto, Pánfilo de Narváez, and Tristan de Luna introduced new livestock, plants, trade goods, and diseases into the interior of North America long before the Spanish settled there. When later French, English, and Spanish explorers arrived they did not find a pristine natural environment as we have often been taught in U.S. history books. Instead they found people and landscapes already substantially altered by intercultural exchanges. The Spanish introduced a wide variety of livestock to the Americas including horses, cattle, pigs, and sheep. The animals introduced by the Spanish adapted well to the island of Hispaniola. The breed of cattle known as the Castilian longhorn adapted well to the heat of the Caribbean and required very little attention. They were able to survive on their own, subsisting on the island scrub. The descendants of the original cattle developed a resistance to the fevers caused by ticks. When Pedro Menéndez de Avilés arrived in Florida to build a colony, he brought livestock from the islands, not Spain. Since the animals had already adapted to the harsh Caribbean environment, they flourished in Florida. Native chiefs, called caciques, acquired horses which were a mark of elite status in the Spanish world. Pack animals were not commonly used, however, until the end of the 17th century. Indian burden-bearers did the back-breaking work of moving goods across the province. The occupation of “burden-bearer” was a traditional one in Native American societies, but under the Spanish colonial system it became part of the system of coerced labor called the repartimiento. By the mid-seventeenth century, Spaniards and Indians in Florida had developed a lively trade in livestock, deerskins, and hides. Livestock and hides were sold to the people of St. Augustine, but they were also shipped to more profitable markets in Havana. This was often done covertly, against the knowledge and will of the governor of Florida. Trade goods imported from Havana also filtered north and westward into the interior, connecting the Apalache missions with adjacent chiefdoms such as the Apalachicola and Chacato. Pack horses were often traded north to Apalachicola. By 1702, the War of Spanish Succession had made its way to North America. That year, the English destroyed the Spanish missions and ranches in the interior of Florida. They systematically killed or enslaved most of the Catholic Indians, virtually emptying the interior of Florida between St. Augustine and present-day Tallahassee. Fifteen years later when the Spanish were finally able to rebuild their alliances with the Indians, they explored the abandoned lands. They found herds of cattle and bison flourishing independently. They also found the old gardens and citrus orchards had survived. 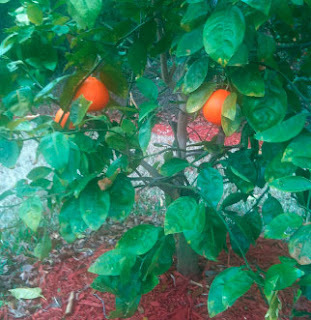 Citrus also played a prominent role in Spanish Florida. The colonists under Menéndez brought oranges, lemons, and limes which provided essential vitamins and nutrients. The citrus adapted well in the Florida environment, unlike other plants such as olives and grapes. The Spanish also managed to cultivate wheat, another European dietary staple, though the intensely wet environment of Florida meant that it did not grow as well as corn. There is some evidence that the Spanish in Florida were supplying the English North American colonies with oranges by the 1720s. Through legal and illicit trade networks, Spanish goods and produce made their way through French and English colonies as well. By the end of the first Spanish period of occupation (1565-1763), leading families had carved up and claimed all the land between St. Augustine and the St. Johns River, roughly twelve hundred square miles, and another eight hundred square miles west of the river to present-day Alachua County. The extent to which these families actually altered the landscape is difficult to determine, but at its peak, the La Chua ranch had about one thousand head of cattle. La Chua ranch eventually became known as Alachua County, Florida. Much of the land is preserved as part of state park called Payne’s Prairie. Bison were imported by park rangers, but the cattle that live on the prairie are the descendants of those brought by the colonists to Florida in the sixteenth and seventeenth centuries. The cattle continued to survive and multiply in the wild. There were still wild herds during the American territorial era when Anglo-American pioneers came to settle Florida. Many made a living rounding up these cows and selling them or moving them onto controlled ranches. These cowboys were often known as “crackers.” Though the term once had a negative connotation, it has been re-appropriated in recent years as a term of pride for Florida settlers. Thus, this breed of cattle, descended from Spanish stock, is now more commonly recognized as “cracker” cattle and associated with pioneer Americana. Florida settlers also sent beef and leather from these cows to sustain the Confederate Army during the U.S. Civil War. As part of his plans for colonization, Pedro Menéndez de Avilés brought Jesuit missionaries to La Florida in 1567. By 1570, they had built missions as far north as present-day Virginia, on the Chesapeake Bay. The Virginia missions survived only a few years, however, before the Jesuit missionaries were martyred. When English settlers arrived to build the colony of Jamestown in 1607, they were likely aware of the previous Spanish presence in the region, though perhaps not the extent of their influence. There outside of Jamestown English colonists found a breed of rose they thought unique to North America. John Gerard entered it in his compendium of native fauna in 1597. 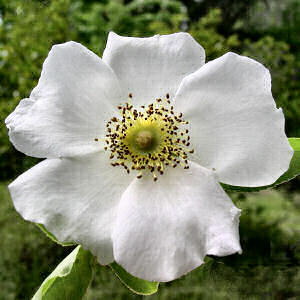 Today it is known as the Cherokee rose and it is the state flower of Georgia. The name Cherokee rose dates from the nineteenth century when it became part of Cherokee lore and associated with the process of Cherokee removal. The flower, rosa laevigata, is actually a flowering vine native to Asia and is known elsewhere as the Chinese climbing rose. Although it was foreign to the English colonists, it was known to the Spanish. How it got to the Chesapeake region remains undocumented, but it may have been introduced to Virginia by the Jesuit priests or other Spaniards. The story of the Cherokee rose is instructive for scholars of the southeastern United States as a reminder that this region was also once the northern frontier of a vast Spanish empire. Over the centuries, the vine naturalized to the region and flourished in stately gardens as well as abandoned properties and trails, a living reminder of the settlements of generations past. 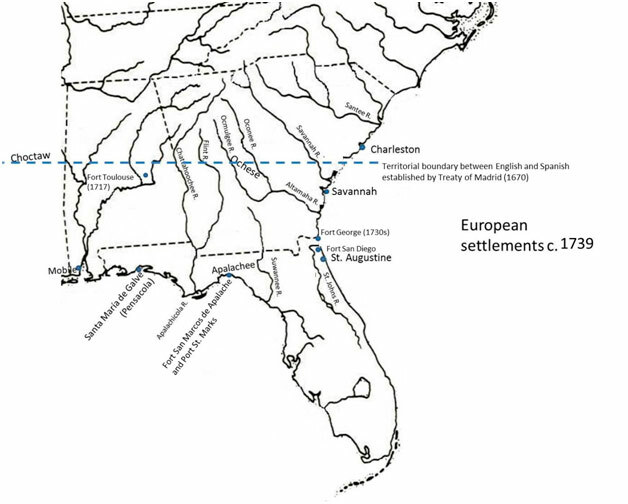 Over the course of the colonial era, European and indigenous nations competed for dominion over the eastern seaboard and the Gulf Coast of North America. Nineteenth-century Cherokee society and the eponymous flowering vine were both the product of the processes of colonial expansion and conflict in the region. By the time of the Cherokee removal in 1838, European, Indian, and African migration throughout the region altered the politics and complexion of the region many times over. Bushnell, Amy T. “The Menéndez Marquez Cattle Barony at La Chua and the Determinants of Economic Expansion in Seventeenth-Century Florida.” Florida Historical Quarterly 56, no. 4 (1978): 407-431. ———. Situado and Sabana: Spain's Support System for the Presidio and Mission Provinces of Florida. Athens: University of Georgia Press, 1994. Hall, Joseph, M. Jr. Zamumo’s Gifts: Indian-European Exchange in the Colonial Southeast. Philadelphia: University of Pennsylvania Press, 2009. Hann, John H. A History of the Timucua Indians and Missions. Gainesville: University Press of Florida, 1996. ———. Apalachee: The Land Between the Rivers and A History of the Timucua Indians and Missions. Gainesville: University Press of Florida, 1996. Harman, Joyce Elizabeth. Trade and Privateering in Spanish Florida, 1732-1763. St. Augustine: St. Augustine Historical Society, 1969. Hoffman, Paul. Florida's Frontiers. Bloomington: Indiana University Press, 2002. ———. A New Andalucía and a Way to the Orient: The American Southeast during the Sixteenth Century. Baton Rouge: Louisiana State University Press, 1990. Lyon, Eugene. The Enterprise of Florida: Pedro Menéndez De Avilés and the Spanish Conquest of 1565-1568. Gainesville: University Presses of Florida, 1974. ———. “Richer Than We Thought: The Material Culture of Sixteenth-Century St. Augustine.” El Escribano 29 (1992). Miller, James. An Environmental History of Northeast Florida. Gainesville: University Press of Florida, 1998. Ruhl, Donna. “Oranges and Wheat: Spanish Attempts at Agriculture in La Florida.” Historical Archaeology 31, no. 1 (1997): 36-45. Sauer, Carl. The Early Spanish Main. University of California Press, Berkeley: 1966. Este artículo es especial. Tras la publicación en este blog del artículo 'La huella hispana en La Florida', unas amigas de Flagler College quisieron mostrar que la herencia hispana en la zona sí que se ha mantenido. De esa conversación surgió este artículo colaborativo. El texto en inglés es de la doctora en Historia Latinoamericana Diana Reigelsperger. La galería fotográfica de Flickr que se adjunta es obra de Deborah Shaw, estudiante de Historia. Y la traducción al castellano es de un servidor. Disfrutadlo. Juan Ponce de León nació en una familia noble de Valladolid y viajó al Nuevo Mundo en el segundo viaje de Cristóbal Colón en 1493. Participó en la conquista de Puerto Rico entre 1506 y 1507, y se convirtió en su gobernador en 1509. El rey le destituyó de este puesto en favor de Diego Colón, hijo del descubridor. En 1513, Ponce de León se embarcó en una expedición para explorar la tierra del norte del Caribe. Al contrario de la mitología popular, no buscaba la Fuente de la Eterna Juventud, sino nuevas oportunidades para adquirir riquezas, tierras y estatus. Su expedición era bastante habitual al inicio del siglo XVI. Llevó con él un piloto experimentado, dos marineros africanos y otros dos marineros y guías taínos. El conocimiento de la costa y las mareas era esencial, y los pilotos eran las personas más valiosas y cultas en el Caribe durante ese período. Los primeros asentamientos que realizó se han convertido en un debate habitual. Importan poco desde que Ponce de León se encontró con la hostilidad de las tribus con las que contactó. Esos nativos debían haber tenido contacto con traficantes de esclaves y entendieron que se encontraban con más de lo mismo. Después de navegar hacia el sur a lo largo de los Cayos de la Florida, la tripulación de Ponce de León desembarcó en la costa del golfo, cerca del puerto de Charlotte. Allí contactaron con el cacicazgo Calusa. Esta tribu les recibió de forma hostil y los exploradores regresaron a Puerto Rico. En 1514, Ponce de León bautizó la zona con el nombre formal de La Florida y se nombró adelantado. Este método fue el que los españoles usaron para realizar la conquista del Nuevo Mundo. Gran cantidad del patrimonio que habían obtenido algunas de las grandes figuras de la Conquista americana en la Reconquista, fue invertido a su propio riesgo en la conquista y la colonización de la región. Su recompensa era el gobierno de la región y los privilegios y los beneficios que conllevaba dicho estatus. De tal forma, los reyes españoles obtuvieron el control de las Américas con una inversión mínima de capital. En 1521, Ponce de León volvió a La Florida a construir su colonia con 200 colonos, caballos, semillas y herramientas. Como se internaron en la zona para buscar agua potable, los colonos entraron en el territorio de los Calusa. En cuanto fueron atacados, regresaron a sus barcos y se fueron a Puerto Rico de nuevo. Ponce de León murió por las heridas recibidas. El intercambio de animales, plantas y enfermedades entre Europa, África y las Américas es conocido como el Intercambio Colombino. La zona sudoriental estadounidense ofrece un ejemplo excelente de cómo era la zona antes y cómo fue después del intercambio. La presencia española tuvo un impacto sustancial en la ecología y el paisaje americano. Las expediciones lideradas por Lucas Vázquez de Ayllón, Hernando de Soto, Pánfilo de Narváez y Tristán de Luna introdujeron nuevo ganado, flora, mercancías y enfermedades en el interior de Norteamérica tiempo antes de que los españoles colonizasen la zona. Cuando los exploradores franceses, ingleses y españoles llegaron, no encontraron un espacio natural prístino como se ha explicado a menudo en los libros estadounidenses de historia. En vez de eso, encontraron una población y un paisaje que ya había sido sustancialmente alterado por el intercambio intercultural. Los españoles llevaron a América una enorme variedad de ganado, incluidos caballos, vacas, cerdos y ovejas. Los animales se adaptaron bien a la isla de La Española. La cría de reses conocidas como ganado castellano de cuernos largos se adaptó bien al calor caribeño y requirió poca atención. Fueron capaces de sobrevivir de la vegetación de la isla. Los descendientes de ese ganado original desarrollaron una resistencia a las fiebres derivadas de las garrapatas. Cuando Pedro Menéndez de Avilés llegó a Florida a construir una colonia, trajo consigo ganado de las islas, no de España. Como este se había adaptado ya al clima caribeño, prosperó en su nueva tierra. Los líderes nativos, llamados caciques, adquirieron caballos, que eran un símbolo de estatus en la sociedad española. Las bestias de carga no fueron utilizadas de forma común hasta finales del siglo XVII. Los porteadores indios hicieron el trabajo agotador de trasladar las mercancías a lo largo de la provincia. La ocupación de porteador fue un empleo tradicional en las sociedades de nativos americanos, pero bajo el sistema colonial española llegó a ser parte del sistema de trabajo obligatorio conocido como 'Repartimiento'. A mediados del siglo XVII, españoles e indios en La Florida habían desarrollado un comercio muy dinámico de ganado y pieles. El ganado y las pieles eran vendidas por los habitantes de San Agustín, que también las enviaban a los prósperos mercados de La Habana. Esta actividad era realizada a menudo de manera encubierta, sin el conocimiento ni la autorización del gobernador de Florida. Las mercancías importadas de La Habana eran introducidas en el interior de la provincia desde el norte y el oeste, conectando las misiones en los Apalaches con las tribus de Apalachicola y Chacato. Los caballos de carga eran vendidos, a menudo, en Apalachicola. En 1702, la Guerra de Sucesión Española tuvo su episodio particular en Norteamérica. Ese año, los ingleses destruyeron las misiones y ranchos españoles en el interior de Florida. Asesinaron o esclavizaron de forma sistemática a los indios católicos, vaciando virtualmente el interior de la región entre San Agustín y la reciente Tallahasee. 50 años después, cuando los españoles reimplantaron definitivamente su sistema de alianzas con los indios, exploraron las tierras abandonadas. Encontraron manadas de vacas y bisontes que sobrevivían de manera salvaje. También hallaron viejos jardines y cultivos de cítricos que habían sobrevivido. Los cítricos jugaron un papel fundamental en la Florida española. Los colonos de Menéndez trajeron naranjas, limones y limas que proveyeron a los habitantes de nutrientes esenciales y vitaminas. El cítrico se adaptó bien al clima de Florida, no como el olivo o la vid. Los españoles desarrollaron cultivos de trigo, básico en la alimentación europea, aunque el tiempo excesivamente húmedo de Florida favoreció el cultivo de otros productos como el maíz. Hay evidencias de que los españoles de Florida abastecieron a las colonias inglesas de Norte América de naranjas en la década de 1720. A través de las redes de comercio y contrabando, los productos y materias primas españolas tuvieron su mercado en las colonias francesas e inglesas. Al final del primer período de ocupación española (1565-1763), las familias gobernantes habían dividido y reclamado todo el territorio entre San Agustín y San Juan del río, aproximadamente 12.000 millas cuadradas, así como 800.000 millas cuadradas desde el río al actual condado de Alachua. El alcance de la alteración del paisaje que realizaron estas familias puede determinarse difícilmente, pero, como ejemplo, en su momento de mayor esplendor, el rancho La Chua llegó a tener mil cabezas de ganado. El rancho La Chua se convirtió en el condado de Alachua. La mayor parte del terreno está protegido como parte del parque estatal Payne's Prairie. El bisonte fue importado por los guardabosques del parque, pero el ganado que vive en las praderas es descendiente de aquel que trajeron los colonos de Florida en los siglos XVI y XVII. El ganado sobrevivió y se multiplicó de forma salvaje. Había todavía manadas silvestres en la era territorial americana cuando los pioneros angloamericanos llegaron para colonizar Florida. Muchos vivieron de la venta de estos especímenes o de su cría en ranchos. Esos vaqueros fueron conocidos como 'crackers'. Aunque el término tenía una connotación negativa, ha sido recuperado en los últimos años como forma de valorar a los colonos de Florida. Así, la cría de ganado, proveniente de los ejemplares traídos de España, es conocida actualmente como ganado 'cracker' y asociado con los pioneros americanos. Los colonos de Florida también enviaron carne y piel de esas vacas para sostener al ejército confederado durante la Guerra de Secesión Americana. Como parte de los planes de colonización, Pedro Menéndez de Avilés trajo misioneros jesuitas a La Florida en 1567. Ya en 1570 habían construido misiones tan al norte como el actual estado de Virginia, en la bahía Chesapeake. Las misiones de Virginia sobrevivieron pocos años, sin embargo, ya que los misioneros fueron martirizados. Cuando los colonos ingleses llegaron para construir la colonia de Jamestown en 1607, estaban prevenidos de la presencia de españoles en la región, aunque quizás no de la profundidad de su influencia. En las afueras de Jamestown, los colonos ingleses encontraron un tipo de rosa única en Norteamérica. John Gerard la incluyó en su compendio de fauna nativa en 1597. Hoy día es conocida como la rosa Cheroqui y es la flor del Estado de Georgia. El nombre proviene del siglo XIX, cuando se convirtió en parte de la sabiduría tradicional de este pueblo nativo y asociada con el proceso traslado de los cheroquis. La flor, rosa laevigata, es realmente una enredadera nativa de Asia y conocida como la rosa trepadora china. Aunque era extraña para los colonos ingleses, era conocida por los españoles. No hay documentación de cómo llegó a la región de Chesapeake, pero debió haber sido introducida en Virginia por los sacerdotes jesuitas o por otros españoles. La historia de la rosa cherokee es instructiva para los escolares de la zona sureste de Estados Unidos como recuerdo de que esta fue una región fronteriza con el enorme imperio español. A lo largo de siglos, la enredadera se aclimató en la región y se generalizó en los jardines estatales y en zonas abandonadas, como recuerdo de las generaciones de colonos del pasado. A lo largo de la era colonial, europeos e indígenas compitieron por el dominio de la costa este y la costa del golfo de Norteamérica. La sociedad cheroqui del siglo XIX y la rosa epónima fueron el producto de los procesos de expansión colonial y de conflictos en la región. En el tiempo de la expulsión de los cheroqui en 1838, la migración europea, india y africana que había experimentado la región hasta entonces alteró la política y la fisonomía de Florida para los años venideros. La mayoría de los astrólogos dicen que España es un país regido por Sagitario. La razón es que la Constitución fue aprobada el 6 de diciembre de 1978. Desde luego, el carácter de la nación coincide con esta representación zodiacal: brillante, alegre, jovial, despreocupado, indiscreto y con poca cabeza para gestionar recursos. Más allá de teorías esotéricas, España es un país con una importante tradición constitucional. A pesar de ser origen del liberalismo, según algunos expertos, su primer proyecto de Carta Magna en 1808 fue impuesto por los invasores franceses. El estatuto de Bayona convertía a José Bonaparte como rey español, sustituyendo la casa de Borbón por la de Bonaparte. La separación de poderes era testimonial, otorgando un poder casi total al monarca, y regulaba los derechos liberales burgueses. La primera constitución como tal fue la de 1812, aprobada por las Cortes de Cádiz el 24 de septiembre de 1810, el día de San José. Por eso es conocida como 'La Pepa'. Basada en la anterior y en las constituciones francesa y estadounidense, su carácter era liberal con el reconocimiento de la soberanía nacional, la representatividad y la división de poderes. Limitaba el poder del rey. Su aplicación fue muy intermitente por las traiciones al pueblo de Fernando VII. Sirvió de base para los movimientos revolucionarios europeos de la década de 1820. En 1834, tras la muerte de Fernando VII, se aprobó un Estatuto Real, una carta otorgada, puente hacia el Estado liberal. La Guardia Real de la Granja impuso a la regente María Cristina el restablecimiento de la Constitución de 1812 y la convocatoria de Cortes, de la que derivó la Constitución de 1837, revisión del texto gaditano, que mantenía la soberanía nacional, los derechos ciudadanos y la división de poderes, y cambiaba el sistema electoral. Posteriormente, el general Espartero disolvió el Senado, proclamó mayor de edad a Isabel II y reformó la Constitución, dándole un giro conservador y muy restrictivo, aumentando los poderes del rey. En 1852, Bravo Murillo elaboró un proyecto constitucional casi absolutista que no prosperó gracias a la oposición ciudadana. Poco después, en 1856, se redactó una revisión de la Carta Magna de 1845, con algunos principios progresistas. Nunca llegó a promulgarse y fue la primera Constitución española 'non-nata'. La que sí se implantó fue la democrática promovida por el general Serrano durante el Sexenio democrático. Estuvo vigente hasta 1871 y proponía la separación de poderes, la libertad del ejercicio de cualquier religión y el sufragio universal masculino. La I República española trató de constituir un texto para articular el Estado como república federal, pero no funcionó. Alfonso XII planteó, abolida la república, una fórmula de monarquía liberal constitucional con soberanía compartida que rigió hasta 1931, momento en que entró la Segunda República, tras la renuncia al trono de Alfonso XIII. El texto constitucional republicano renunciaba a la guerra como forma de resolución de conflictos, la creación de un tribunal constitucional, la implantación de un parlamento unicameral y la descentralización del Estado por medio de comunidades autónomas. Francisco Franco acabó con esa constitución e implantó las Leyes Fundamentales del Reino, con las Cortes como instrumento colaborador. La Ley para la reforma política de 1977 fue el mecanismo jurídico que permitió articular la Transición española, culminada con la Constitución de 1978, que restauró la monarquía borbónica, recuperó la organización territorial republicana, y reimplantó el sistema democrático y la asunción de los valores parlamentarios. Most of the astrologers says that Spain is a country ruled by Sagittarius. The reason is that the Spanish Constitution was approved on 6th December 1978. The nation's character coincides with this zodiacal representation: brilliant, happy, jovial, carefree, indiscreet and absent-minded managing resources. Beyond these esoteric theories, Spain is a country with an important constitutional tradition. Despite being the origin of liberalism, according to some experts, its first project of Magna Carta in 1808 was imposed by the French invaders. Bayonne statute converted Joseph Bonaparte in the Spanish king, replacing the house of Bourbon by the house of Bonaparte. The separation of powers was symbolic, giving a nearly absolut power to the monarch, and regulated the liberal bourgeois rights. The first constitution as such was the document developed by the Cortes of Cádiz on 19th March 1812, popularly known as 'La Pepa' because of it was approved on the day of Saint Joseph. Based in the statute of Bayonne, and the French and US constitutions, its character was liberal, recognising the national sovereignty, representation and distribution of power. It limited the king's power. Its implementation was very intermittent because of the betrayals of Ferdinand VII to the Spanish people. It was a basic text for the European revolutionary movements of the 1820's. In 1834, after Ferdinand's VII death, the Royal Statute was approved. It was a given Carta, bridge to the liberal state. The Royal Guard of La Granja (Segovia) forced to the regent Maria Christina of the Two Sicilies the restoration of 'La Pepa' and the call of the Cortes that derived in the constitution of 1837, revision of the text of Cádiz, which maintained the national sovereignty, the citizen's rights and the distribution of powers, just like the change of the electoral system. Afterwards, general Espartero broke up the Senate, proclaimed adult to Isabella II and reformed the constitution, giving it a conservative and restrictive shift, increasing king's powers. In 1852, Bravo Murillo developed a constitutional project almost absolutist which did not succeed because of the citizen opposition. Shortly after, in 1856 was written up a revision of the Magna Carta of 1845 with several progressive principles. It was never promulgated and was the first constitution 'non nato'. There was a democratic one afterwards, promoted by general Serrano during the Spanish Glorious Revolution. It was applied until 1871 and proposed the distribution of powers, free practice of any religion and the universal masculine vote. The I Spanish Republic tried to establish a constitutional text to articulate an federal republican State, but it didn't work. Alfonso XII considered, abolished the republic, a constitutional liberal monarchy with distribution of powers that worked until 1931, the year when started the II Spanish Republic, after the abdication of Alfonso XIII. The republican constitutional text renounced to war as a way to solve conflicts, proposed the creation of a constitutional court, the establishment of a single-chamber parliament and the decentralization of the state by autonomous communities. Francisco Franco finished off that constitution and introduced the main law of the kingdom with the Cortes as a helpful instrument. The law to reform the politics of 1977 was the legal tool that allowed the Spanish Transition, ended with the constitution of 1978, which restored the Bourbon monarchy, recovered the republican territorial organization, and reintroduced the democratic system and the acceptance of the parliamentary values. "¿Qué li donarem al noi de la mare? ¿Qué li donarem que li sápiga bo?". Eran los versos de una canción de cuna catalana que salieron de la celda mexicana en la que el belga Jacques Mornard, el hombre que asesinó a León Trostky, cumplía su condena. Este hecho trivial desenmascaró al verdadero asesino del ideólogo de la revolución permanente. El prisionero se llamaba Ramón Mercader, un militar catalán, hijo de la espía comunista Caridad del Río y miembro de los servicios secretos soviéticos desde la Guerra Civil Española. La NKVD (Comisariado del Pueblo para Asuntos Internos) de Stalin le encargó la eliminación de Trostky. Viajó a Ciudad de México, bajo el alias de Jacques Mornard, y fue introduciéndose en el círculo privado del líder soviético, muy custodiado desde el atentado fallido que dirigió Alfaro Siqueiros. Mercader conquistó a una secretaria de Trotsky y se convirtió en uno de sus hombres de confianza. Ese 20 de agosto de 1940, Trotsky le recibió en privado para revisar unos escritos. Mercader le clavó un piolet en la nuca. Murió entre espasmos doce horas después. Mornard-Mercader aseguró que tenía problemas personales con el ruso. No se relacionó a Stalin con el asesinato hasta que en 1953 se supo la identidad del asesino. Al cumplir su condena, Mercader fijó su residencia en la URSS pero, desilusionado con la desestalinización, viajó a Checoslovaquia y, luego, a Cuba, donde le esperaba su madre. Fue condecorado en secreto como Héroe de la Unión Soviética con la Orden de Lenin y la Medalla de Oro. Murió de cáncer óseo en 1978 en La Habana y está enterrado en el cementerio Kúntsevo de Moscú, reservado a héroes soviéticos, bajo el nombre de Ramón Ivanovich López. "¿Qué li donarem al noi de la mare? ¿Qué li donarem que li sápiga bo?". These were the verses of a Catalonian lullaby sung in the Mexican cell where the Belgian Jacques Mornard, the man who killed Leon Trotsky, was serving sentence. This trivial fact unmasked the true assasin of the ideologist of the permanent revolution. 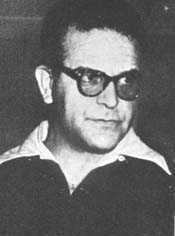 The prisoner was really called Ramón Mercader, a Catalonian soldier, son of the comunist spy Caridad del Río and member of the Soviet secret service since the Spanish Civil War. The Stalin's NKVD (People's Commissariat of Internal Affairs) ordered him Trotsky's assasination. He travelled to Mexico City, under the alias of Jacques Mornard, and got into the inner circle of the soviet leader, very guarded from the failed attempt managed by Alfaro Siqueiros. Mercader captivated a Trostky's secretary and became one of his confidants. That 20 August 1940, Trotsky received them in private to check some documents. Mercader blow him in the nape with an ice axe. He died between spasms twelve hours later. Mornard-Mercader admited personal problems with the Russian leader. Stalin wasn't linked with the assasination until killer's identity was also known on 1953. After serve his sentence, Mercader lived in the Soviet Union but, disappointed with the destalinization, travelled to Czeckoslovakia and the to Cuba, where his mother had been waiting for him. He was decorated as hero of the Soviet Union with the Order of Lenin and the medal of honor. He died of osseus cancer in 1978 in Havana and is buried in Kuntsevo cemetery, in Moscow, reserved to soviet heroes, under the alias of Ramón Ivanovich López.